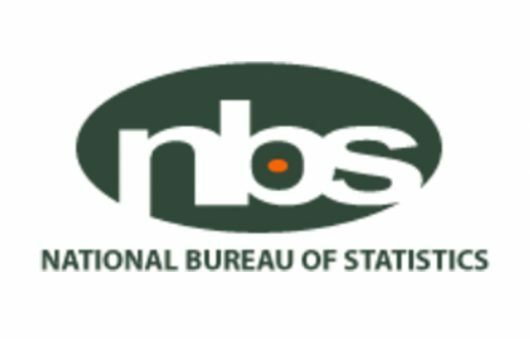 National Bureau of Statistics (NBS) yesterday ‎disclosed that the nation’s Inflation Rate has further declined to 11.14%. ‎A data released by the Bureau for the Month of July said, the consumer price index, (CPI) which measures inflation increased by 11.14 percent (year-on-year). This is 0.09 percent points less than the rate recorded in June 2018 (11.23) percent and represents an eighteenth consecutive disinflation in headline inflation year on year. NBS said, increases were recorded in all COICOP divisions that yielded the Headline index. It said, on month-on-month basis, the Headline index increased by 1.13 percent in July 2018, down by 0.11 percent points from the rate recorded in June 2018 (1.24 percent). This represents the first-time month on month headline inflation has declined since February 2018. The percentage change in the average composite CPI for the twelve months period ending July 2018 over the average of the CPI for the previous twelve months period was 13.95 percent, showing 0.42 percent point from 14.37 percent recorded in June 2018. The urban inflation rate eased by 11.66 percent (year-on-year) in July 2018 from 11.68 percent recorded in June 2018, while the rural inflation rate remained flat at 10.83 percent in July 2018 from 10.83 percent in June 2018. On a month-on-month basis, the urban index rose by 1.23 percent in July 2018, down by 0.01 from 1.24 percent recorded in June, while the rural index also rose by 1.18 percent in July 2018, down by 0.05 percent from the rate recorded in June 2018 (1.23) percent. The corresponding twelve-month year-on-year average percentage change for the urban index is 14.33 percent in July 2018. This is more less 14.71 percent reported in June 2018, while the corresponding rural inflation rate in July 2018 is 13.64 percent compared to 14.08 percent recorded in June 2018. ‎Meanwhile, on Kerosene, the Bureau said, average price per litre paid by consumers for National Household Kerosene decreased by -1.00% month-onmonth and -1.29% year-on-year to N276.87 in July 2018 from N279.67 in June 2018. States with the highest average price per litre of kerosene were Yobe (N310.00) , Nassarawa (N306.19), and Bayelsa (N304.72). States with the lowest average price per litre of kerosene were Kogi (N238.89), Borno (N236.67) and Abia (N227.50) Similarly, average price per gallon paid by consumers for National Household Kerosene decreased by -0.41% month-on-month and increased by 1.76% year-on-year to N1000.19 in July 2018 from N1004.29 in June 2018. States with the highest average price per gallon of kerosene were Borno (N1130.00), Jigawa (N1115.38) & Bauchi (N1070.00). States with the lowest average price per litre of kerosene were Rivers (N921.05), Delta (N900.73) and Oyo (N900.59)‎.